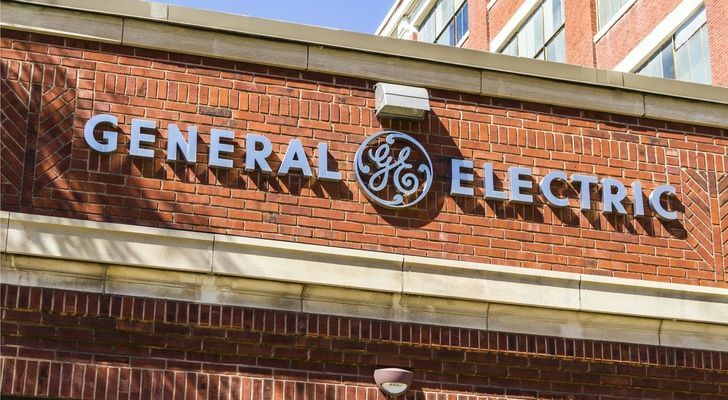 General Electric Co. (NYSE:GE), the last original member of the Dow Jones Industrial Average is being booted from the index. It’s tragic, for GE, sure, but it’s also another opportunity to talk about why we shouldn’t report on the Dow. The Dow Jones launched in 1896 with 12 companies, including GE. It was created by Charles Dow, partly to advertise the editorial independence of his Wall Street Journal, which held that information on companies traded publicly shouldn’t be kept from the public. The Dow today includes none of the original 12, and it’s not even owned by the Journal. It’s a joint venture among the CME Group Inc. (NASDAQ:CME), S&P Global Inc. (NYSE:SPGI) and News Corp. (NASDAQ:NWSA), which owns the Journal. Like all the Dow averages, it exists to advertise and be traded. General Electric got cut because it started going backward. That’s the reason for all shifts in the Dow 30. The Dow is designed to have an upward bias. Companies that don’t grow are dropped and replaced by companies that do grow. Today, the so-called “industrial average” includes such “industrials” as McDonalds (NYSE:MCD), Travelers (NYSE:TRV) and Visa (NYSE:V). None of which are industrials. There are, in fact, very few industrials left on the Dow Jones Industrials. Only Boeing (NYSE:BA), Caterpillar (NYSE:CAT) and United Technologies (NYSE:UTX) make engines. Travelers, JPMorgan Chase (NYSE:JPM), Goldman Sachs (NYSE:GS) and American Express (NYSE:AXP) are financials. If the purpose of the Dow Jones is to highlight growth, it has been useless for years. The Nasdaq Composite has doubled the Dow’s gains since the latest recovery began in 2009. It’s been like this for a generation. One hallmark of the Dow in this century is that when companies join it, they tend to quit growing. Companies like Coca-Cola (NYSE:KO) haven’t been growth stocks for years. Microsoft (NASDAQ:MSFT) and Intel (NASDAQ:INTC) were added in 1999, just as the dot-com era was cresting. Intel is worth less today than when it joined the average. Today’s Dow 30 is just a collection of mature companies with nothing more in common than their membership in the index. It’s nothing more, or less, than a collection of big employers. That’s the real reason GE is getting dropped. Its headcount, which was 313,000 at the end of last year, is falling rapidly as it suffers the hangover caused by former CEO Jeff Immelt trying to make it an industrial company again. Immelt’s big plan ended up in disaster and embarrassment, and the same is true of the Dow Jones Industrials. It’s not owned by Dow Jones, it doesn’t consist of industrials, it doesn’t measure growth. Charles Dow just added the prices of his original 12 companies and divided by 12. If you did that with today’s Dow 30, the index would be around 250,000. Instead, it uses a “divisor” designed to reflect its membership changes and make sure a $1 change in a member’s stock price is reflected as a one-point change in the average. GE’s exit from the Dow, and the entry of Walgreens (NYSE:WBA), the drug store chain, is a good time to reflect on the meaningless of the Dow and stop reporting it. The Dow doesn’t reflect the market, it doesn’t reflect how industrial companies are doing, and it’s not what you want to build your stock portfolio around. Don’t drop GE. Drop the Dow. Article printed from InvestorPlace Media, https://investorplace.com/2018/06/with-ge-gone-its-time-to-stop-covering-the-dow-jones-index/.